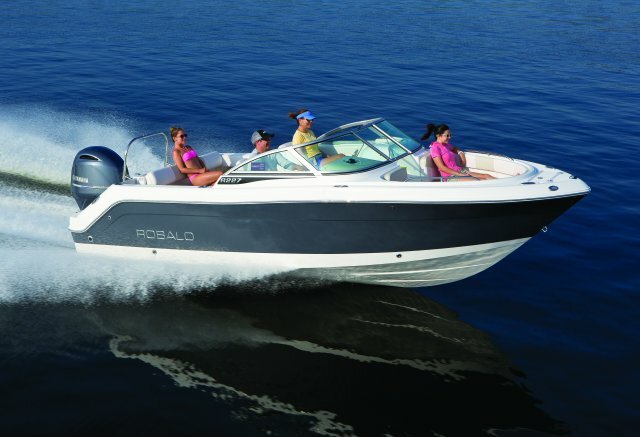 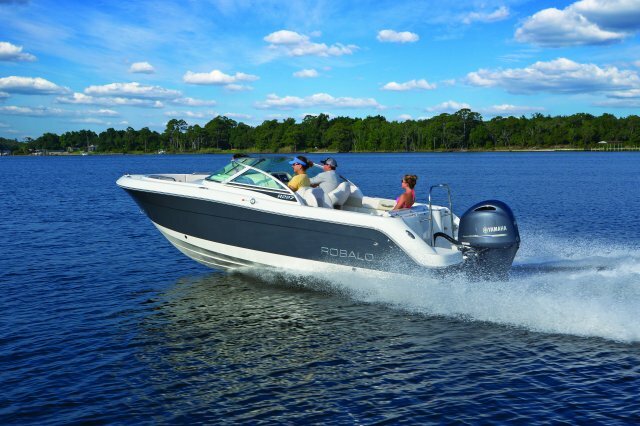 Boats like the R227 are the reason why dual console outboards are one of the hottest sellers on the water today. 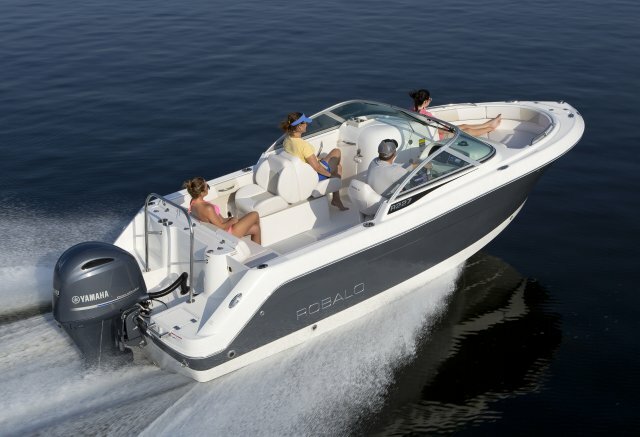 In what other 22-footer can you fish at sunrise, wakeboard all day and cruise under the moonlight? 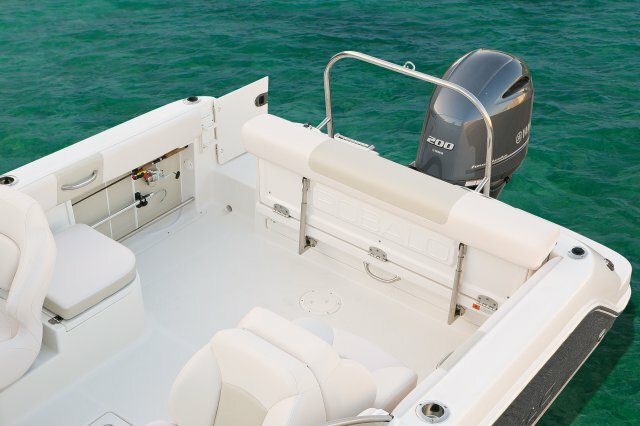 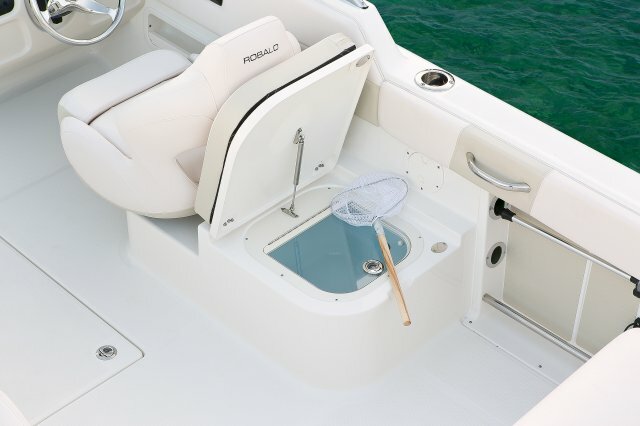 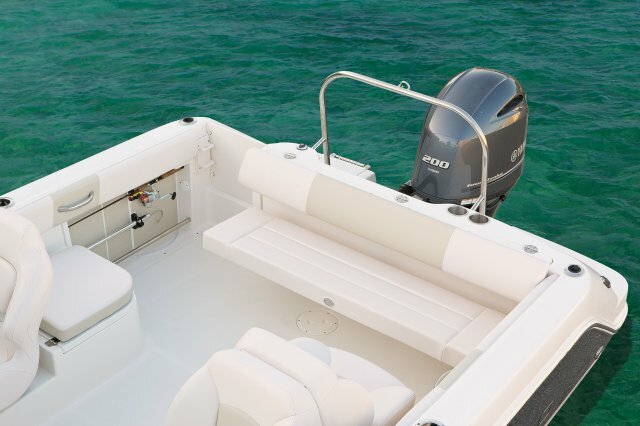 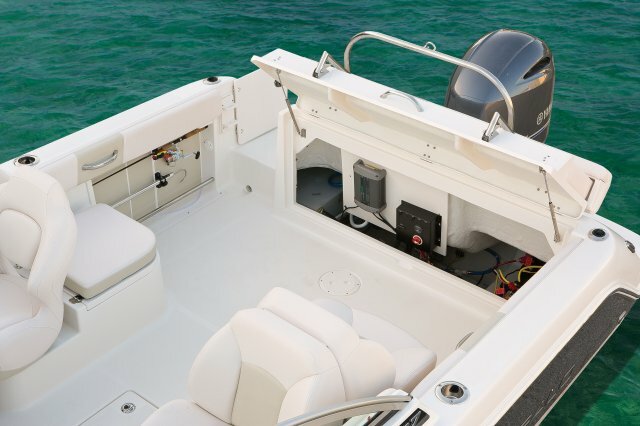 As a fishing machine, the R227 includes secure rod storage, a raw water wash down, a self bailing cockpit and a 20-gallon livewell. 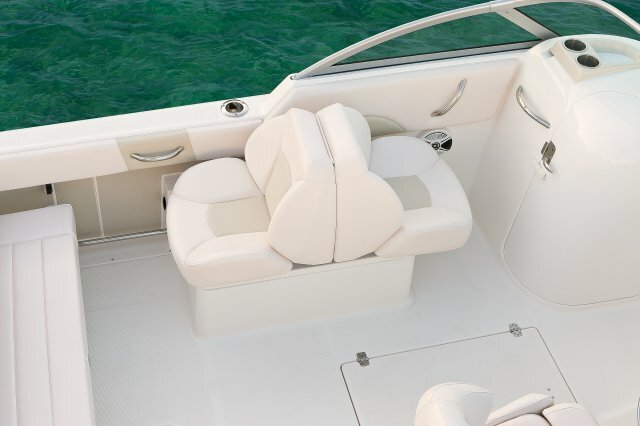 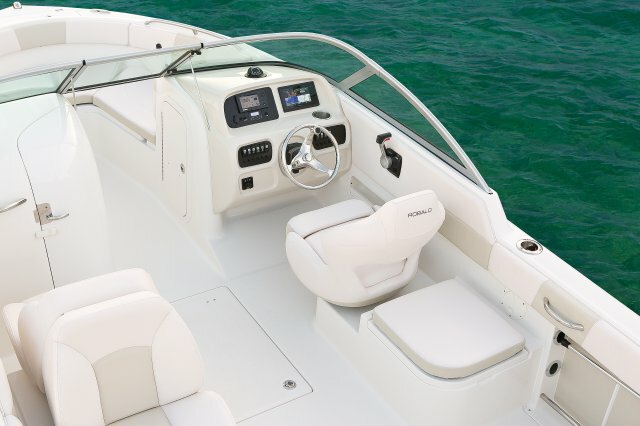 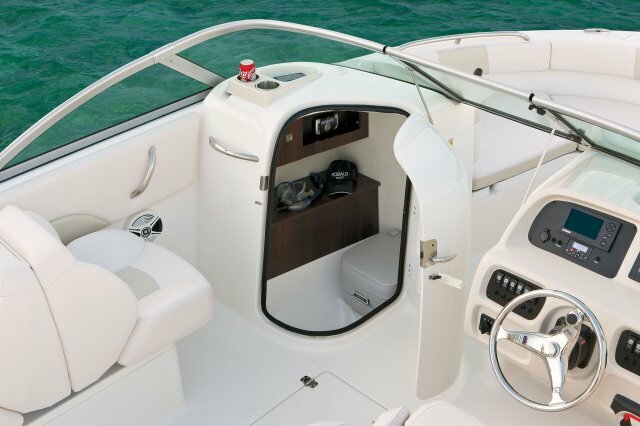 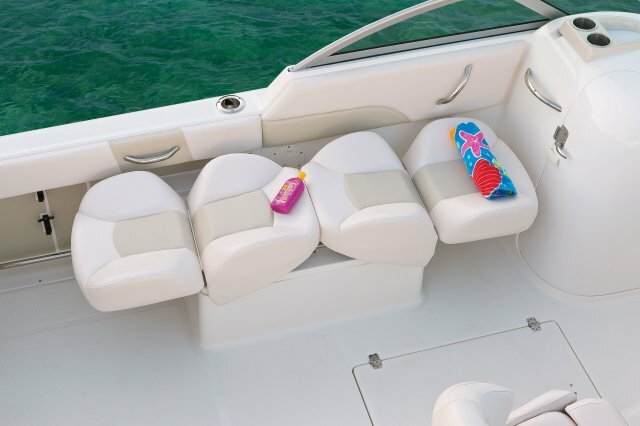 Up front, the bow area easily converts from a casting platform to wraparound seating. 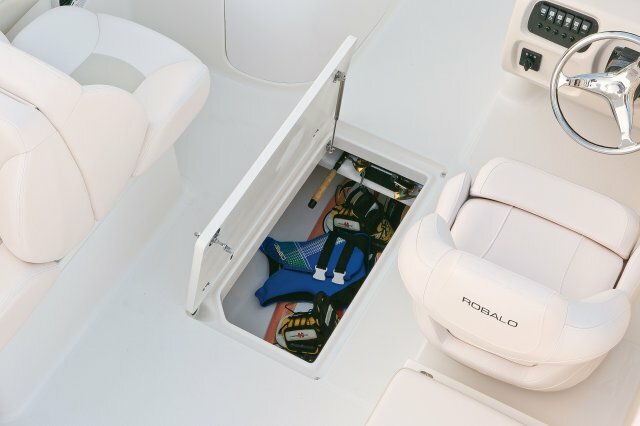 In the cockpit, the R227 features a large enclosed head and a deep infloor ski locker with lockable rod storage. 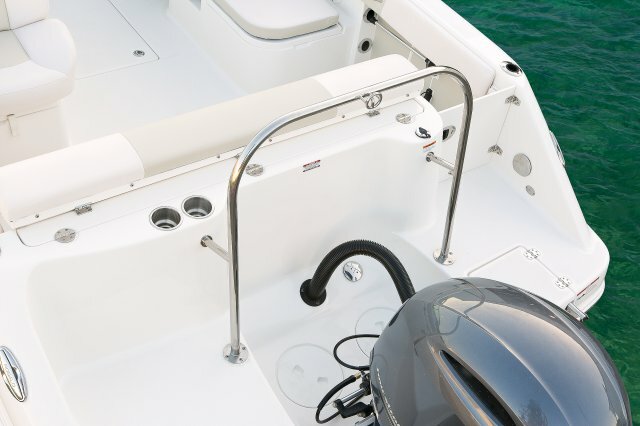 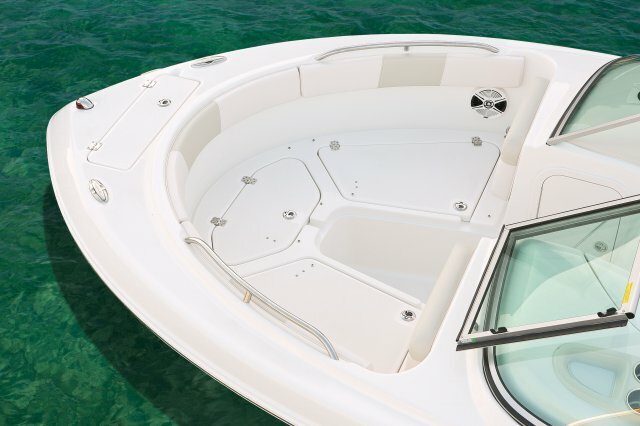 Stainless steel hardware including flush pull latches and electro-plated thru hull fittings are what you’d expect from Robalo. 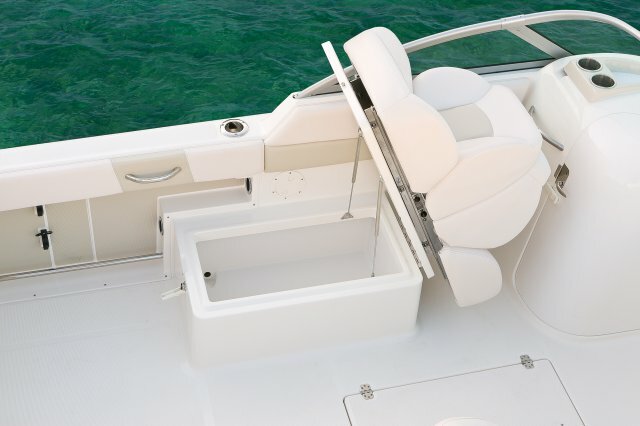 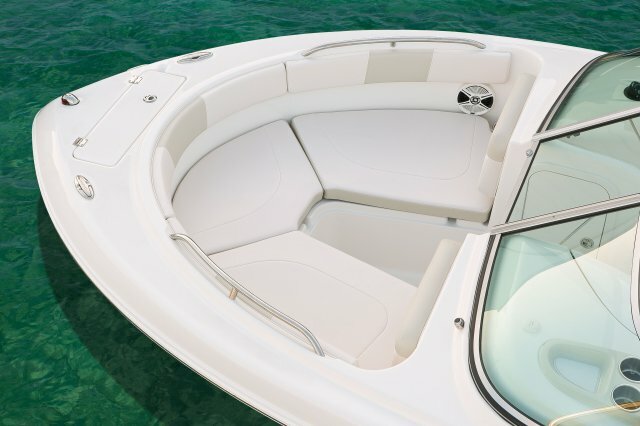 Key options include a must have Bimini Top with windscreen, ski tow bar, snap-in carpet and a freshwater shower. 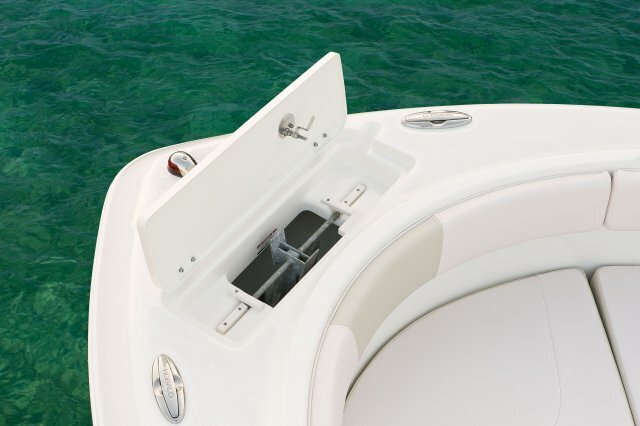 Actual hull color is white deck and side hull w/ black bottom.